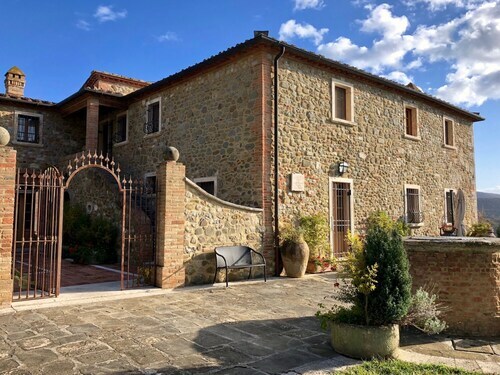 Situated in Rapolano Terme, this bed & breakfast is within a 10-minute walk of Pieve Romanica di San Vittore Church and Terme Antica Querciolaia. Saltalbero Adventure Park and San Giovanni Terme Rapolano are also within 2 mi (3 km). Rapolano Terme Station is 8 minutes by foot. Situated in a rural location, this farm stay is within 3 mi (5 km) of Terme Antica Querciolaia, Saltalbero Adventure Park, and Pieve Romanica di San Vittore Church. San Giovanni Terme Rapolano and Museo dell'Antica Grancia e dell'Olio are also within 6 mi (10 km). Situated in a regional park, this country house is within 6 mi (10 km) of Terme Antica Querciolaia, Saltalbero Adventure Park, and Pieve Romanica di San Vittore Church. Piazza Marconi and Torre dell'Orologio are also within 6 mi (10 km). How Much is a Hotel Room in Rapolano Terme? Hotels in Rapolano Terme start at $68 per night. Prices and availability subject to change. Additional terms may apply. When you need great accommodation close to Rapolano Terme, you'll find it relaxing to know that there are many suitable possibilities available. Our database shows no less than 26 hotels within a 6-mile (10-kilometer) radius of Rapolano Terme's urban core. The Villa Buoninsegna, is a convenient hotel for the time-short traveler due to the fact that it's the most centrally located hotel option in Rapolano Terme. Our extensive database contains only a small selection of budget hotels in Rapolano Terme. 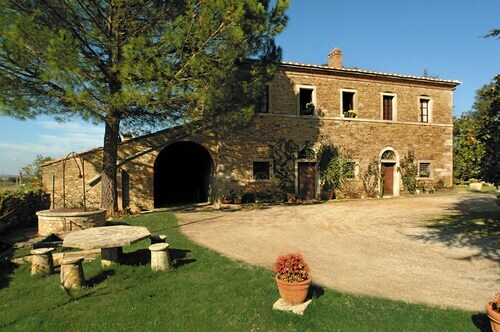 The Agritourism Tenuta Armaiolo is one such listing. The Rosewood Castiglion del Bosco is located 17 miles (28 kilometers) outside the center of Rapolano Terme. An alternative accommodation option is the Castel Monastero, which is positioned 5 miles (9 kilometers) away. You could also choose to make a booking at the Adler Thermae Spa & Wellness Resort or the Borgo Scopeto Relais. If you have the time, why not spread your wings and check out the many delights of Tuscany while you're in this area? Visit Tuscany's ruins or photograph the region's rural landscapes, beaches and coastal plains. Popular things to do in this corner of Italy include snowboarding and skiing. Looking for activities? You could spend some time checking out Archeological and Collegiate Church Museum and Torre Rognosa, which you'll find in Val d'Elsa, 30 miles (45 kilometers) to the west of Rapolano Terme. 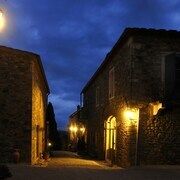 Some of our recommended Val d'Elsa accommodation options include the Tenuta Di Mensanello and Torraccia di Chiusi. Alternatively, you could stay in Val d'Orcia, 19 miles (31 kilometers) south of Rapolano Terme, where you can choose from the Hotel Osteria Dell Orcia and Locanda del Loggiato. The Collegiate Church of San Quirico and Palazzo Chigi are popular points of interest to visit when in Val d'Orcia. Before your Rapolano Terme trip comes to an end, why not spend an hour or two enjoying the thrills and spills with other sports fans at a local sporting fixture. Stadio Artemio Franchi is 40 miles (61 kilometers) to the northwest of Rapolano Terme. Find a Travelocity-listed room right by the sporting action at the Four Seasons Hotel Firenze or the The St. Regis Florence. 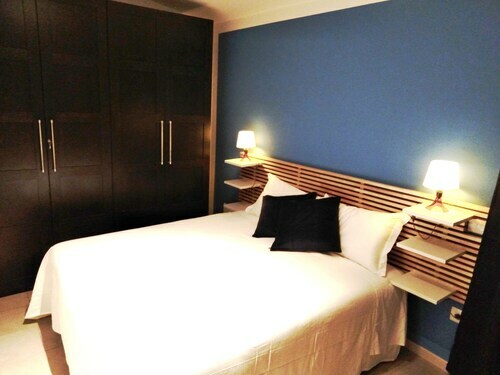 Situated 40 miles (67 kilometers) outside Rapolano Terme's center is Peretola Airport. Find nearby Travelocity-listed accommodation at Torre di Bellosguardo or Sina Villa Medici.